Welcome to our very first podcast. This episode is first because it lays out exactly what the goals are of the podcast. You will hear what we’re planning on talking about and to who. We’ll also explain how we’re going to present information in various formats. Most importantly we will explain why you should listen. Sometimes we will have detailed show notes or links. Because we are not interviewing anyone in this episode our show notes are quite extensive. Sometime’s we’ll just have links to resources we reference on the show. Saving Fatherhood – My first job is to convince you there is a problem. The American Family is under attack. Before we talk about what’s causing Fatherlessness – I want to share some statistics about Fatherlessness and what it is doing to our families. b. 63% of youth suicides are from fatherless homes (US Dept. Of Health/Census) – 5 times the average. c. 90% of all homeless and runaway children are from fatherless homes – 32 times the average. g. Compared to living with both parents, living in a single-parent home doubles the risk that a child will suffer physical, emotional, or educational neglect. B. What about the Father’s themselves that have lost their children? a. Are they all deadbeat Dads that don’t want to see their children? b. Men between the ages of 25 and 54 account for 44% of all suicides. We can’t tie this directly to divorce or loss of parental rights but I’ve heard lots of talk about the prevalence of suicide amongst Moms and Dads who lose their kids. c. On april 22nd the New York times reported that the overall suicide rate rose by 24 percent from 1999 to 2014. The suicide rate rose for middle aged women (ages 45 to 64) by 63 percent. For middle aged men – age 45 to 64 it rose 43%. d. If my identity wasn’t in Christ I could easily be one of those statistics. So what does Fatherhood need to be saved from. a. To encourage them to get involved. b. Help them understand how this is impacting their church and their churches gospel mission. 1. The brokenness of our families has our pastors busy trying to put our broken lives back together again. I know because I’m one of those broken souls they spent so many hours on. 2. I’m amazed myself at the number of people I meet that have been touched by this. 3. I posted something on facebook today and found more people that have stories. A lot of what we’re going to do is to share those stories. c. Help them understand the pain and suffering going on in this realm. 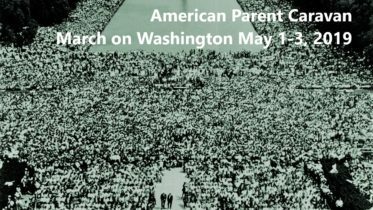 d. The battle in the family court system is part of a larger spiritual battle for Religious Freedom. 1. Abortion & Sexual Deviance and the undermining of marriage. 1. We are not going to focus on these. a. To minister to them and help them. b. Psalm 147:3 says – He heals the brokenhearted and binds up their wounds. c. We want to be used by God to bind wounds in his name. C. Christians actively involved in the Family Court System Battle. a. To engage in conversation to fight this evil recognizing God has a will and purpose in this fight. b. We need to identify his will together. c. There’s a rallying cry to identify the injustice that is in the family court system. We need to point these people to Christ. d. If this is a spiritual battle we need the Christians to lead. I’m always shocked to meet someone who knows their bible in and out but doesn’t know the constitution. Don’t you know that all freedom comes from Christ? e. Galatians 5:1 says – For freedom Christ has set us free; stand firm therefore, and do not submit again to a yoke of slavery. A. Just another Christian believer going thru suffering. If you are a Christian I have no doubt that you know suffering. I heard Philippians 3:10 preached today. In that verse Paul speaks of his desire to share in the sufferings of Christ. As I walk thru my life I have to ask what would God have me do. Right now SavingFatherhood.org seems to be his will. a. I’m an alienated parent. I haven’t seen my daughter in over 2 years. So I think Scripture would have me seek to help those going thru similar circumstances. c. The last time I saw and spoke to my daughter it was on May 8th 2015. At that point my daughter has been living apart from me for over 3 years. Her mother left me taking our daughter to my in-laws home a couple miles down the road in February of 2012. Valentine’s day to be exact. I sat in a psychologist’s office where my wife had been bringing my daughter for counseling. She was having trouble dealing with our separation. My daughter told me in that meeting that the plan was to drag out the counseling and custody negotiations until my daughter turned 14 so that she could decide to live with her Mom and not me. d. I was devastated. I never heard my daughter talk like that to me. We were inseparable in 2012 before they left. Over the course of 3 years I was slowly weaned out of her life with no way to recover custody. During that time, I was alienated but I didn’t know anything was wrong until it was too late. e. I can’t say too much because I’m still working this out in court. There are multiple blogs with different psychologists explaining pathogenic parenting and my deepest desire is for my mother in law or my wife to watch those videos to see how they are harming our daughter. I truly believe they think they are protecting her. I really want to forgive them both. I have forgiven them both but their attacks continue so we have to wait. f. In fact, I’m not even divorced yet after 5 years although that seems like it may happen soon. I never wanted to get divorced but then again who does. If my wife would come back with my daughter I would accept her tomorrow for my daughter’s sake and for God’s glory. Who’s going to help people to hear this if Christians don’t get involved in this mess. What do the psychologists teach? Well I have a very good Christian Psychologist that I work with but psychology is dangerous. All I can say is get some counselng before you get some counseling. OKAY SO – I POINTED OUT MY CREDENTIALS BASED ON MY SUFFERING AND GODS CALLING FROM SCRIPTURE. i. Here’s what I’m not. I am not a pastor or theologian and I’m not representing myself as such. I’m 48 and I didn’t become a Christian until I was 35 and quite frankly it took a while for it to stick. 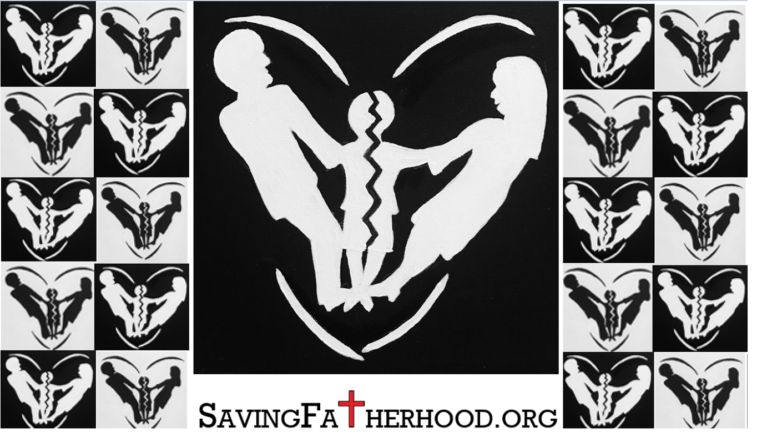 Saving Fatherhood is a Biblically based 501c3. Please pray that we can fulfil our mission by being faithful to Scripture. I love the bible but I’m not a bible scholar. Please let me know if you feel I’ve taken God’s work out of context in any way. Even if you think I’ve been just a little bit careless with God’s word I invite the criticism. We want to get it right. I hope this podcast will bless you and move you to partner with us. 1. Interviews with experts and activists. 1. The next two episodes will be activists. 3. On Episode 3 we will interview Christy Baratino. Christy will talk about the upcoming fundraiser in New York City for the Erasing Families documentary. 4. I’m planning on having lawyers and psychologists and of course people who’ve gone thru this mess. 5. Most people going thru this won’t talk about their own story until it’s over because public attention can have negative results. 1. Relevant events in the media. 2. So many changes going on in courts and states. We’ll report it here and share. In all of these areas we will ask. a. Are we considering God’s will? b. We got here by ignoring God’s will. c. Can we help others seek God’s will and save their families? a. A lot of folks in the family law reform movement aren’t interested in talking about this. Even the Christians because they are divorced already or they have too many other issues. d. That doesn’t sound like American marriage – or worldly marriage. e. No Fault divorce was sold to the American political class with no public debate. It was presented as a solution to help women get out of abusive relationships without having to relive the abuse. Because you used to have to present a reason for the divorce. You had to find fault in the other person. Hence, no-fault. f. What we actually got is no accountability for any of the vows. In fact, you are no longer allowed to bring up the breach of contract or covenant if you will. It’s irrelevant. The court will be upset that you are wasting its time on something that is irrelevant to the matter. Literally my cell phone contract has more teeth than my marriage contract. g. Therefore, its easy to divorce to everyone does. The courts are so busy splitting up family assets (including children) that they no longer have time to consider justice. They just want to get thru the workload as fast as possible. h. There’s so much to talk about here. And I don’t think we’re anywhere close to changing this. a. We spoke about this at length already today. E. Psychology – the good, the bad and the harmful. iv. 1890’s is when modern behavioral psychology came into play. b. Is psychology compatible with Christianity? i. Many argue that it is not. ii. Other’s argue parts are and parts aren’t. iii. I’ve promoted several psychologists that to great work. I’ve also had several psychologists do real harm to loved ones. iv. In either case psychology rules all things spiritual in the courts. Religious affiliations and beliefs are not respected. They are tolerated but will they always be? We will discuss this. i. Why study the soul at all? Secular society recognizes that not all things are material in nature. Those things that are not material in nature are spiritual. ii. Non religious spiritual items – values, morality, logic, physics, theories, laws of nature. All spiritual, non-material. iii. Legally there is a debate over Religious Freedom. Does religious freedom refer to – What you can believe vs. How you can live. iv. What happens when your desire to live a certain way as defined by your religion collides with the rights of another person. Which laws are pre-eminent? v. What happens when sexual freedom rights collide with religious freedom rights.? vi. That’s a big topic that explains why lots of laws are being generated. F. Due Process – Do Family courts violate major articles of the bill of rights? Do these rights exist in family court? What are they . not criminal or civil – sort of an evil hybrid. i. Right to an attorney? Criminal case only unless they are trying to completely remove your parental rights. – but the results of a divorce can be more devastating than any crime. 1. No-fault really means both are at fault. 2. No, pendent lite – while your spouse attacks you in court you get to pay them support money. v. Right to association with your child? vi. Right not to be forced into involuntary servitude / SLAVERY? 1. It’s definitely slavery – the person who made more money is penalized. viii. Instead of high standards of proof because your human rights are at stake, some credible evidence or a preponderance of the evidence is acceptable. In the United States, debtors’ prisons were banned under federal law in 1833. A century and a half later, in 1983, the Supreme Court affirmed that incarcerating indigent debtors was unconstitutional under the Fourteenth Amendment’s Equal Protection clause. x. While technically illegal if you don’t pay your debts created by family court you are in contempt of court. So you go to jail for contempt not because you didn’t pay. The top row gets you everywhere you want to go. The first button of course takes you to the home page. You can always get anywhere from the home page. Every week we’ll be posting a new podcast. You get to that by going to the second button that says BLOG. You’ll find the latest blogs and podcasts. What’s the difference? Blogs are pages with an article or a podcast. You can comment here and we hope that you do. If you listed to the podcast tell us what you think. Ask questions. Tell us you hated it or you disagree. If you have a desire to be on the show you can go to the next button on the top bar on the home page. That’s the Contact us button. Say you want to be a guest. It doesn’t have to be Christian in nature. Just tell us what you want to talk about and we’ll get you scheduled. It has to be something in regards to the family law reform movement. I will argue that God owns all of this. See Romans 13 if you doubt me. We’ll get into God’s opinions on whatever it is. That’s really the point. He owns everything so he has opinions on everything. When we go against his will it goes bad for us. We are taking donations. We’re also selling lots of stuff. Here’s what you can buy. Eventfully we plan on selling email addresses. So you say I already have an email address. Sure you have an email address that ends in yahoo.com or google.com or aol.com and you are promoting those sites every time you use them. How about an email address that ended with savingfatherhood.org. Then when people ask you about the site you can tell them about our mission and help be part of the solution. And of course you can just donate money. We are applying for 501©3 status which means your donation is tax deductible. It will be for up to two years or until we are denied nonprofit status but that wouldn’t impact your tax deductible status on donations made prior to that point. We are confident that we’ll be able to qualify. D. SO WHAT’S THE MONEY USED FOR? a. We promote other sites – Speak, Erasing Families, Family movement, Mommy Interrupted. These are not all Christian focused in fact most are not. We want to be that Christian influence in this movement. b. We want to be a unifying site. And I’m not talking about ecumenicalism, I’m not talking about doctrine but we want to unify people to identify this problem and the fact that we don’t follow God’s will. I believe we can and should come together as Americans to discuss God’s will for marriage and families without debating doctrine. I do however love doctrine and would love to discuss that one on one. And we will discuss how the law should recognize God’s will in the law. c. We will discuss the Gospel of course. We will talk about who Jesus is. d. We want to fund people who need our help. There’s no debate that God calls us to love him and his people. 1. Individuals battling in the courts to save their families. 2. So far I’ve just been giving my own money to a couple of areas that I felt compelled to give to. 1. Dr. Carlos – 6 months in jail – lost medical practice – up to his eyeballs in debt. 2. SpeakW had an event we supported. 3. As donations come in and we have our board of directors coming together we will align with our mission statement. 4. Supporting Father’s strategically – based on criteria established by board. 5. We will be transparent to anyone who donates to us. The next to last button on the top navigation bar is called – Our Father’s way. It’s a short summary about our heavenly father’s design for family, marriage and of course Fatherhood. The last button on the top menu bars is “Stats you should know”. These are statistics about fatherlessness and the impact it has on our society. If there’s any doubt that Families need Fathers, Mothers need fathers and Children need fathers please take a look at the statistics here. Thank you for listening to this first podcast. This was sort of an audio table of contents. I hope it wet your appetite for a partnership that allows us to witness and minister to people with broken families. As someone in a broken family who has been ministered to by too many loving Christian brothers and sisters to mention. I thank you. Pray for us an come back and listen to episode 2!! 2 Comments on "01 Episode 01 – Our First Podcast"
I am a Christian, but the suffering that I and my family have gone through still test my faith constantly. It seems that I sought God desperately and then lost my family anyway. The injustice is so mind boggling. I am so glad you are speaking from a Christian perspective. That is the only answer. Thank you Zach, I really appreciate your struggle. Thank you for faithfully struggling thru your trial. I’m so encouraged that even though you suffered great loss you count your relationship with Christ all the more important. Your faith comforts me!